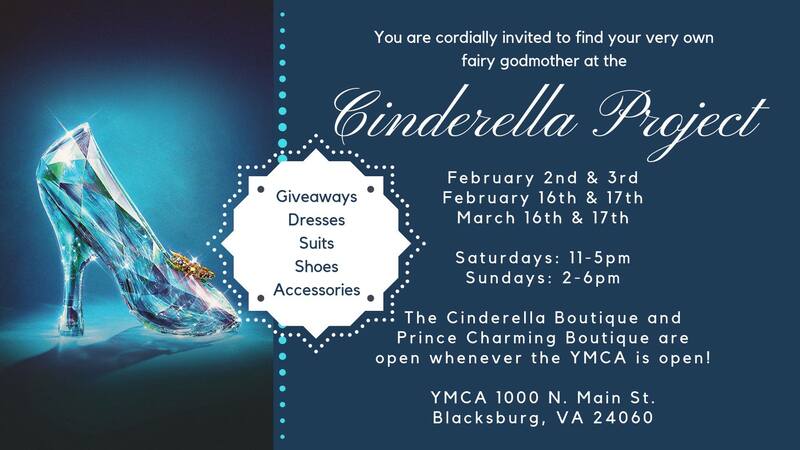 The Blacksburg Junior Women's Club presents the Cinderella Project on Saturday, March 16, 2019 and Sunday, March 17, 2019 at the YMCA at Virginia Tech. There will be giveaways and dresses, suits, shoes and accessories to choose and take home for your prom. Can't make it to one of our events? No worries! The Cinderella Boutique and the Prince Charming Boutique are open whenever the YMCA is open. To view the event flyer, visit: https://i.imgur.com/FqVr8a5.jpg.